This installation and setup guide will make sure you get your BPM toolsets and rules tooling where they need to be for your environment. The release of the latest JBoss Developer Studio (JBDS) brings with it the questions around how to get started with the various JBoss Integration and BPM product toolsets that are not installed out of the box. In this series of articles, we will outline for you how to install each set of tools and explain which products they are supporting. Select JBoss BPM and Rules Development tooling. 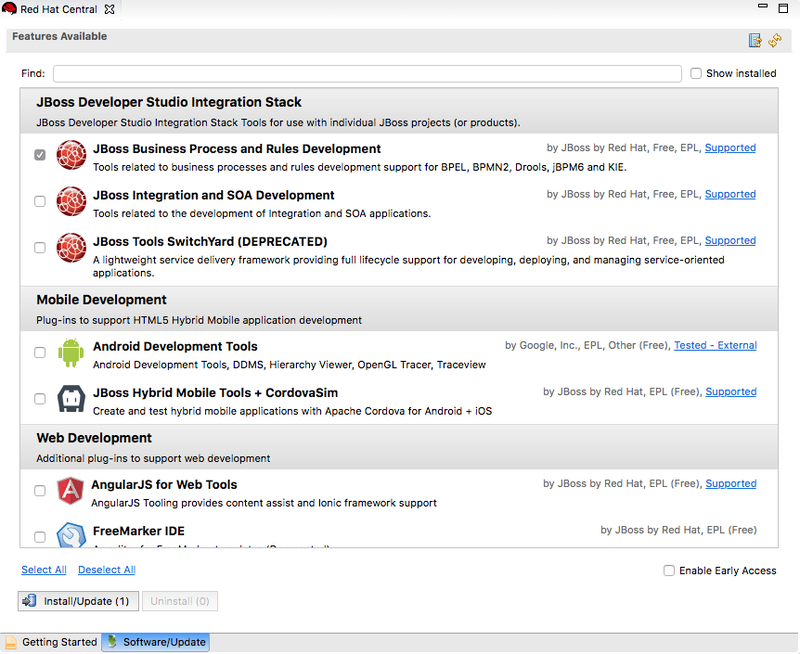 Selecting the Software/Update tab at the bottom reveals the JBoss Developer Integration Stack tooling offerings and we will select JBoss Business Process & Rules Development. 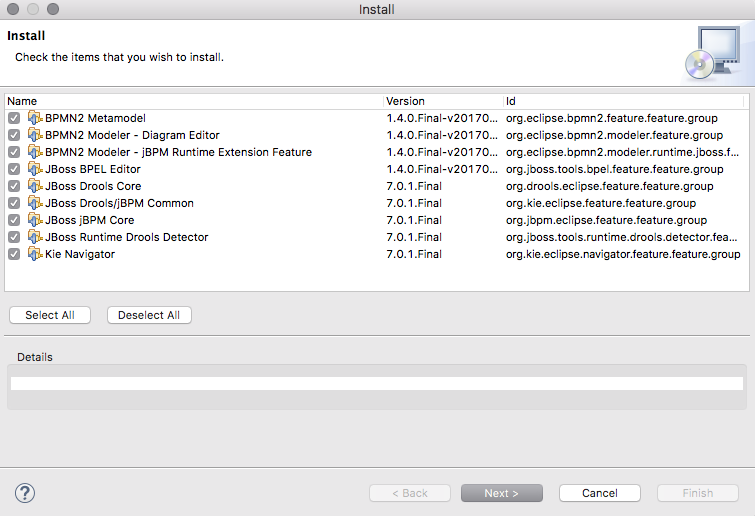 Click on JBoss BPM and Rules Development components to install.